Description: CT-7567, nicknamed "Rex," was a veteran clone trooper captain and Advanced Recon Commando who oversaw Torrent Company of the Grand Army of the Republic's famed 501st Legion during the Clone Wars and later served as a commander of the Alliance to Restore the Republic nearing the end of the Galactic Civil War. Rex participated in many battles over the course of the Clone Wars. 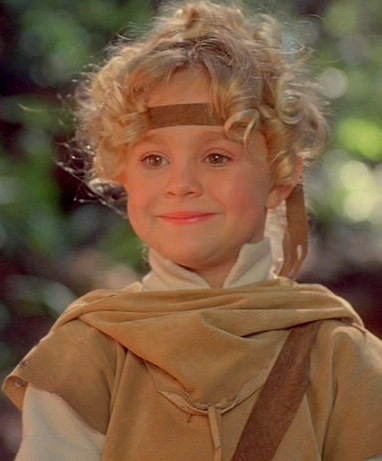 As the captain of the 501st, Rex served as second-in-command to Jedi General Anakin Skywalker, whose bravery and unorthodoxy in battle he came to share. In addition to being a close friend of Skywalker he also became close friends with Skywalker's apprentice, Ahsoka Tano. 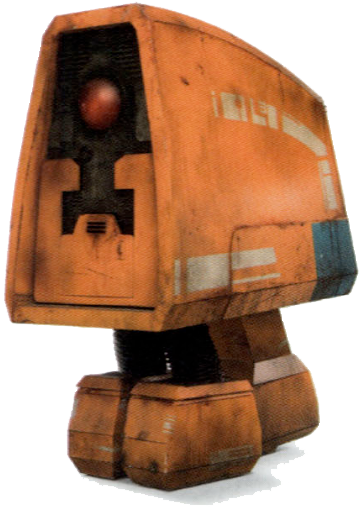 He was close friends with Marshal Commander Cody, with their relationship mirroring that of their respective Jedi Generals, Skywalker and Obi-Wan Kenobi, who Rex was also well acquainted with. This group of five often worked together during the front-line campaigns against the Confederacy of Independent Systems. Throughout his career, Rex proved to be an effective leader who truly cared for the men under his command, even as he began to doubt his own future—and those of his clone brethren—in the Republic. His leadership was put to the ultimate test at the Battle of Umbara, when he was forced to lead the 501st Legion under the obstinate and aggressive Jedi General Pong Krell, a secret Separatist agent. Rex's experiences with Krell forced him to reappraise his rigid adherence to orders. 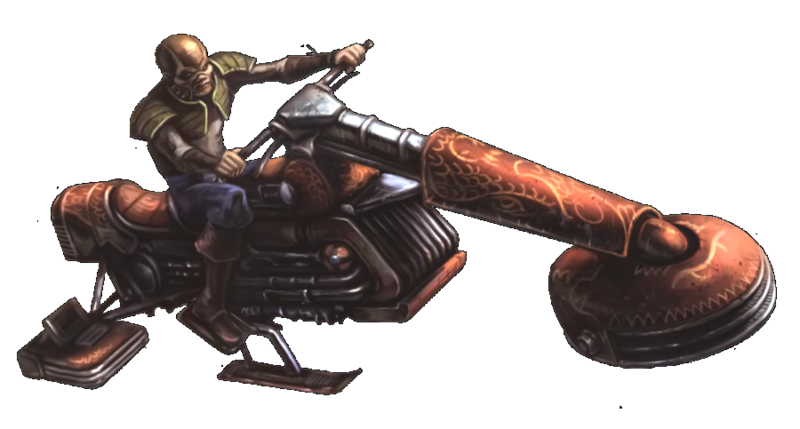 Rex used his combat skills and training to help train local insurgents on Onderon to emancipate their world. Rex's faith in the Republic was sorely tested by events such as the framing of Tano and the murder of his long-time comrade Fives, who had gone rogue after unearthing an anti-Jedi directive that had been bred into all of the Republic's clone troopers. Fives's death led him to uncover his inhibitor chip, which enabled him and his long-time friend Ahsoka to escape Order 66 during the Siege of Mandalore. Rex was a Clone Captain who was produced from the template of the bounty hunter Jango Fett. As with many of his fellow Clone troopers, Rex lived to serve the Galactic Republic and to protect its citizens. While he was eager to follow orders, Rex adopted a less rigid approach as the Clone Wars wore on. During the Clone Wars, Rex would work alongside the Clone Commander Cody, the Jedi Generals Obi-Wan Kenobi, Anakin Skywalker, and the Jedi Padawan Ahsoka Tano. He was also loyal to his men and refused to believe that his comrade Echo had died or turned traitor. Rex would develop a friendship with the Padawan Ahsoka Tano and became her mentor, offering her advice and valuable leadership experience. Rex taught her that experience outranked everything. When Tano was framed for murder and treason, Rex doubted that she had committed the crimes, but followed the order to arrest her. Despite this, the two would maintain a deep respect for each other after the Clone Wars and came to regard each other as friends. Rex was a skilled military commander and a respected leader who won the respect of his men and peers. Due to his combat experience with battle droids, Rex was familiar with robolobotomy. While he was trained to wield firearms, Rex was also proficient in unarmed combat. 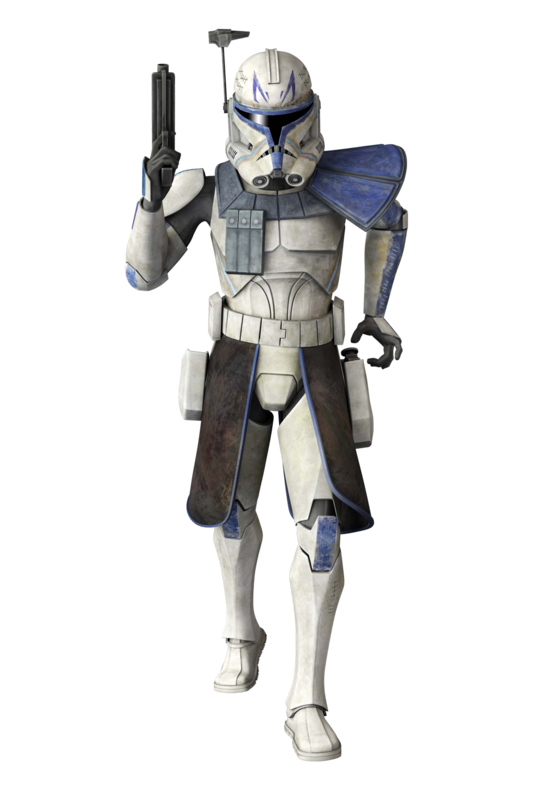 During the Clone Wars, Rex wore both phase I and phase II clone trooper armor with blue markings, and was known for having Jaig Eyes on his helmet. Rex used dual DC-17 blaster pistols in combat during the Clone Wars and continued to use them after the fall of the Republic.